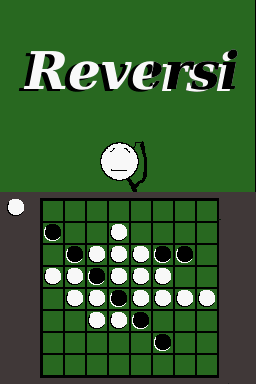 dinkumthinkum rilascia Reversi DS, porting del gioco da tavolo Reversi (conosciuto anche come Othello) per Nintendo DS. 4/18/10--Version .4 is released! AI play is drastically improved. 4/02/10--Version .3 is released! A lot of under-the-hood improvements. Might not play better, but it will be faster. 11/10/09--Version .2 is released! Features better AI and computer avatar!